These mini-cupcakes are small in size, but large in flavors and textures. 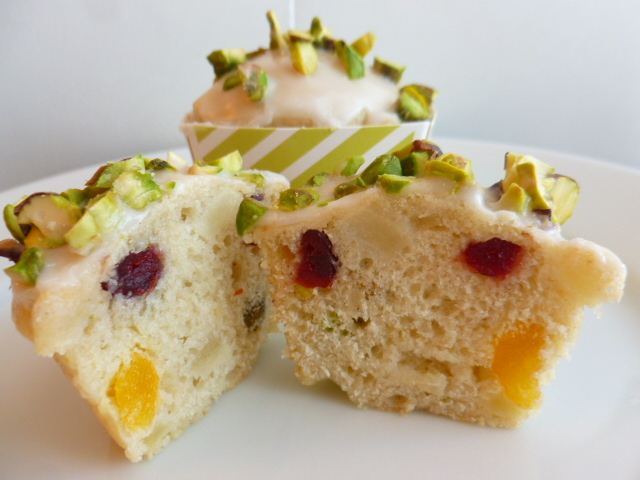 Loaded with dried and fresh fruits and pistachios, they will delight any fruitcakes fan, in a fairly short time. They are perfect for a tea party, for serving in buffets dinners or brunches, or as a light snack and even as breakfast on the go. 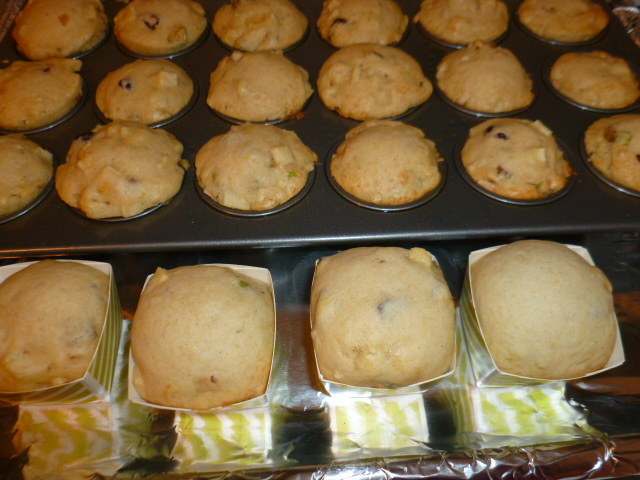 * To bake in large baking cups, add 5-7 minutes to the baking time. 1. Preheat the oven to 3605F (1805C). 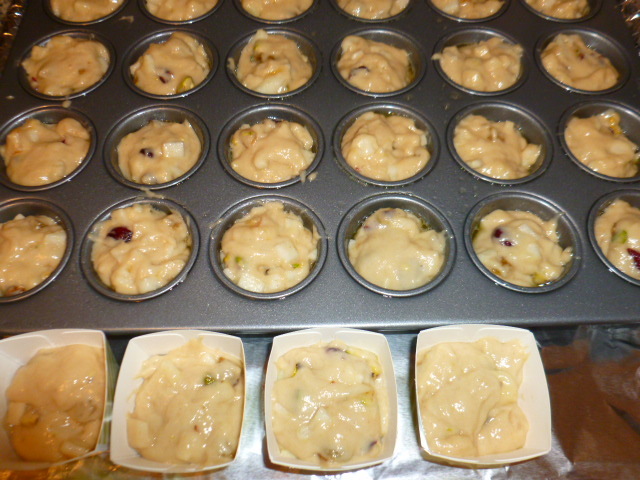 Prepare a mini-muffins pan + 4 standing mini paper baking cups (or use standing baking cups only). 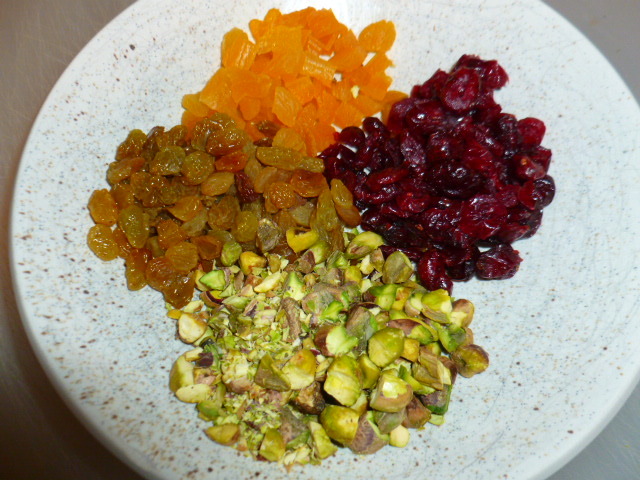 Measure and cut the dried fruits and apple. Set aside. 2. Place the mashed banana in a large bowl. Add add the eggs, oil, white wine and sugar and mix well. Add the flour, baking powder, salt and vanilla and mix to an even batter. 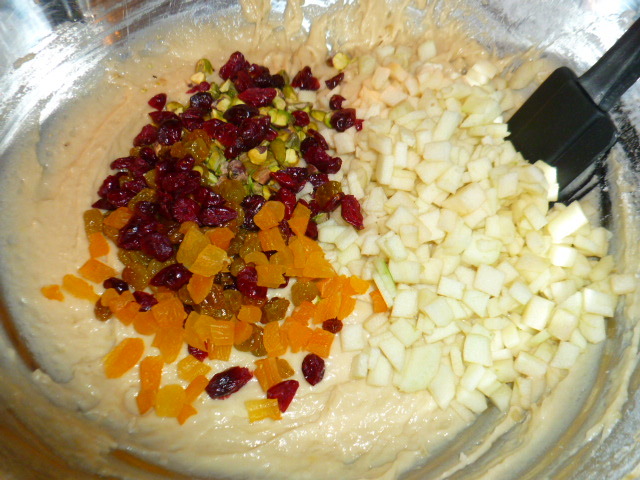 Replace the whisk with a spatula and add the dried fruits, pistachios and diced apple. Mix briefly to combine. 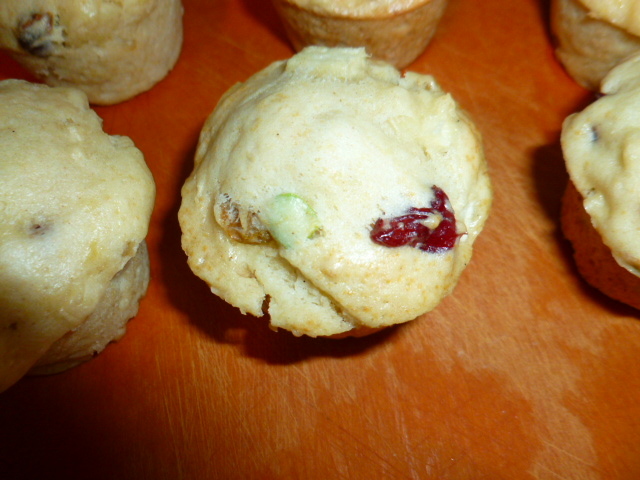 Fill the baking cups with the batter. 3. Bake for 25 minutes. Transfer to a rack to cool to completely. 4. 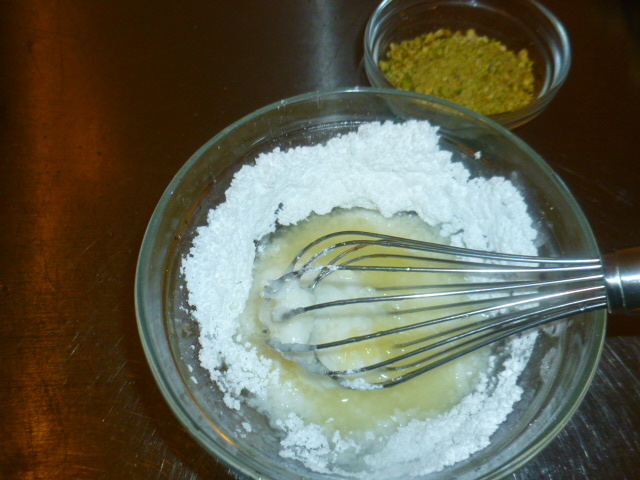 Place the powdered sugar in a bowl and add the lemon juice gradually, while mixing, to form a thick yet runny icing. 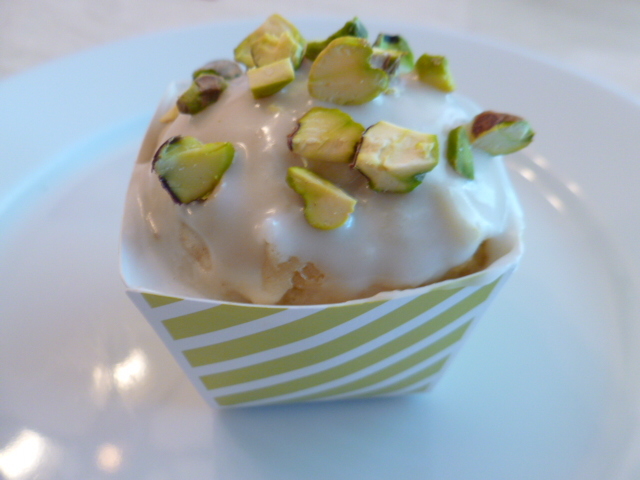 Drizzle on top of the cupcakes, scatter the pistachios on and let set before serving. Wow, I bet they taste fantastic!! 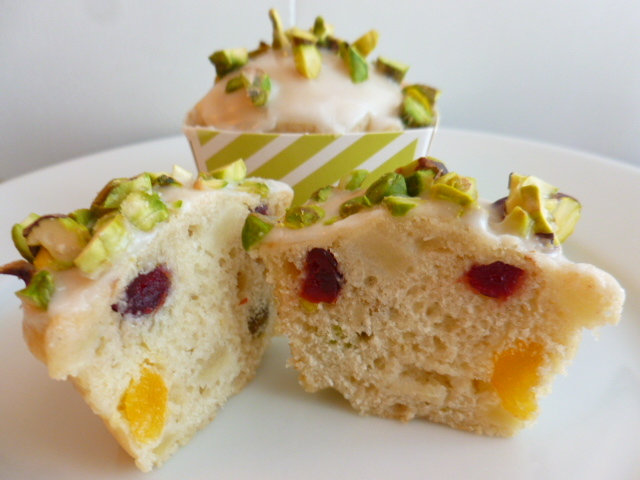 Love fruitcake and I especially like your mini cupcake recipe. Perfect way to serve this holiday treat on any occasion. 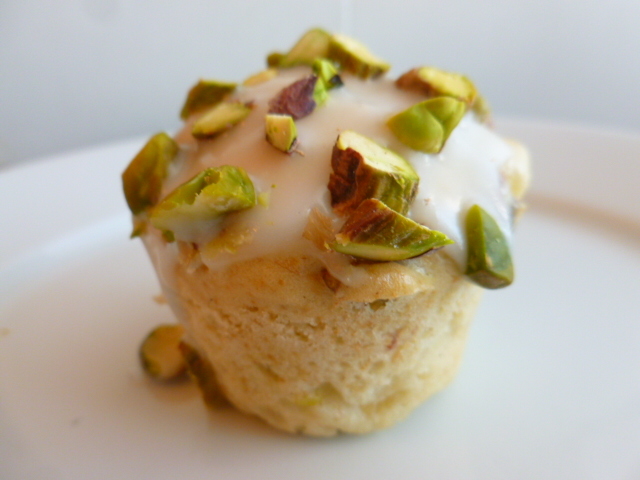 These mini cupcakes look so bright and cheery–and the perfect food to brighten a cold winter day. Happy New Year! That was my intention and I’m glad to hear it came through. These sound amazing and they are so pretty! Love this!